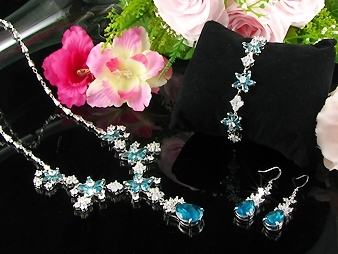 Glamorous Topaz set. 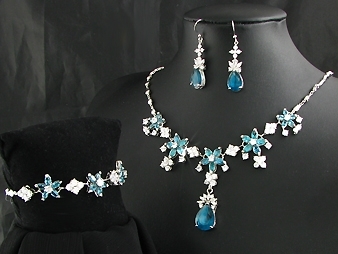 Necklace and earring with Topaz stones form of stars and flowers around your neck. 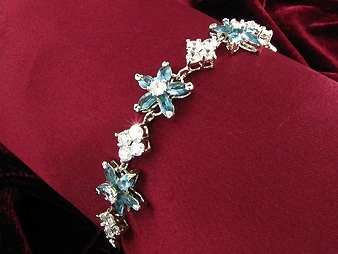 Dive into the opulence of blue Topaz jewelry. 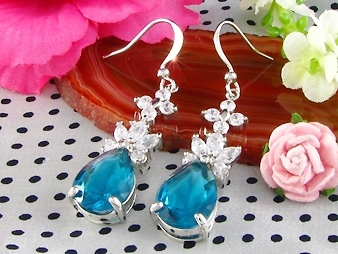 This distinctive Topaz gemstone sparkles like the sea. Size:N. 44-77cm.  E. 48x10 mm.B. 17-22cm.